Structural modeling of celecoxib, DMC and other small molecule inhibitors binding to CDH11 and inhibiting the growth of MDA-MB-231 cells. Sd-133 binding capability to CDH11 was validated by SPR. Shown is a EC1 homodimer interface of CDH11 (PDB: 2A4C); one monomer is represented by the Van der Waals molecular surface (green) and the other by a ribbon. See Assefnia et al. Capturing the biological impact of CDKN2A and MC1R genes as an early predisposing event in melanoma and non melanoma skin cancer. Cadherin-11 in poor prognosis malignancies and rheumatoid arthritis: common target, common therapies. 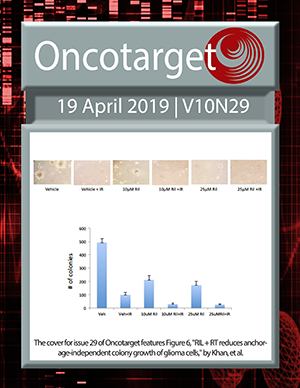 Strigolactone analogues induce apoptosis through activation of p38 and the stress response pathway in cancer cell lines and in conditionally reprogrammed primary prostate cancer cells.